Are you planning a big party or event of some kind? If so, two-way radio rentals will make your event go as planned by preventing a number of common instances from getting out of hand. Weddings, kid parties, a charity night or sporting event can all be greatly benefited by two-way radios. Businesses and professional event planners always make sure to have two-way radios on hand when hosting an event, but even if party planning isn’t your day job affordable two-way radios are still accessible. You don’t have to buy 2-way radios; instead you can rent as many radios as you need for even just one single event. 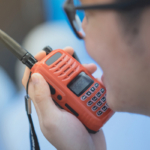 Two-way radio rentals are extremely popular because it offers anyone the opportunity to utilize this professional tool and run a smoother event. When you take storage, maintenance and initial cost into consideration it doesn’t make financial sense to buy a bunch of radios for one or two events. Renting radios is an affordable way to use the reliable technology without having to make a large purchase. The following 5 benefits of two-way radio rentals for an event will have you saying ‘I do’ to radios for your next event! 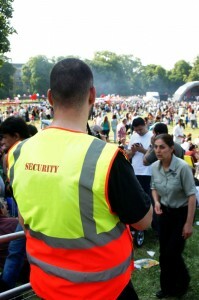 The number one goal when putting on a public or private event is to keep everyone in attendance safe. In order to keep everyone safe coordination is a must, which can get challenging when you have a lot of people and things going on all at once. Coordination all comes down to communication. Making sure the right people are notified of pressing information as it comes in will help reduce security concerns. Plus, since two-way radios operate on a closed network it keeps privacy secure and prevents others from hogging up a line right when you need to use it. Cell phones are obviously popular devices for communication but they aren’t always reliable when running an event. For one, it’s more work to place a call on a mobile device as opposed to talking directly over a radio line. Also, cell phones commonly malfunction due to dead spots, location, interference, or too many people trying to use phone lines all at once. 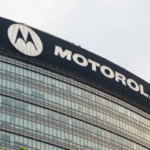 Two-way radios offer far more reliability you can count on during an event, guaranteeing the right people receive the right messages at the speed of light, no matter what. Knowing how much you need of something at an event can be tricky, but not so much if you have constant communication between all involved parties. Discussing what’s going on in real-time always prevents miscalculations that could otherwise break the bank. At an event everything needs to take place at just the right time to be considered perfect. For instance, you don’t want the bride to start walking down the aisle at her wedding before the Groomsmen have already lined up. Two-way radios allow event coordinators on opposite sides of a party to coordinate, ensuring the most precious moments occur at the spot-on perfect time. Food needs to come out at the right time and the DJ needs to know when to announce a particular event on the dance floor, the needs for communication throughout any event are far spread. Two-way radios prevent a well-planned event from looking like a poorly planned chaotic mess. If your event is held outside two-way radios will allow coordinators to communicate about any bad weather that suddenly arises. As a result, people can be efficiently guided in the right direction no matter what Mother Nature throws your way. Also, a packed event can lead to overcrowded areas that need to be dispersed. Using two-way radios to discuss options and plans can change an unenjoyable event into a comfortable and fun event for all guests. 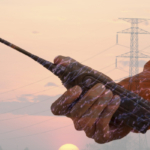 Two-way radio rentals will offer countless benefits for very little cost. You can pick the type of radio you rent based upon your needs, plus all rental radios come with chargers and you can add on any accessories you require. This is a safer option than say for instance buying used radios from someone on Craigslist. When you rent radios from us you know they are going to work and serve their intended purpose. 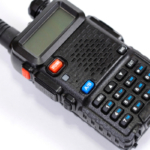 Highland Wireless offers two-way radio rentals at unbelievable prices. Contact us today and put on the event of a lifetime!